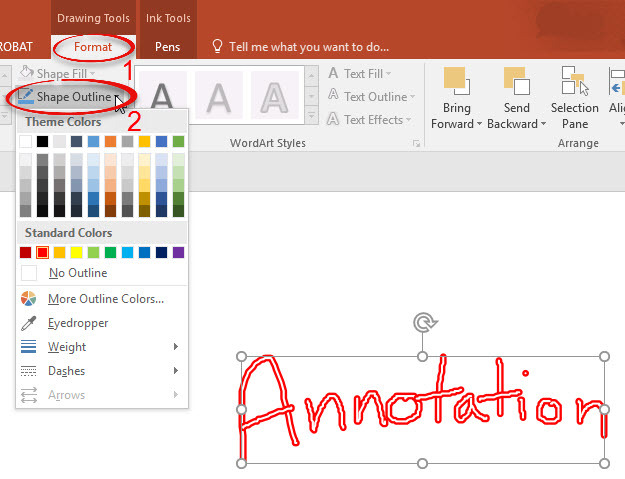 How to add annotation, or writing, to slides in PowerPoint using a pen tool. This process also works in PowerPoint 2013 & 2010. Step 1:Open the Slideshow that you wish to annotate. Click the Slide Show tab, and then choose From Beginning. Step 2:Click on the pen icon in the bottom left corner. 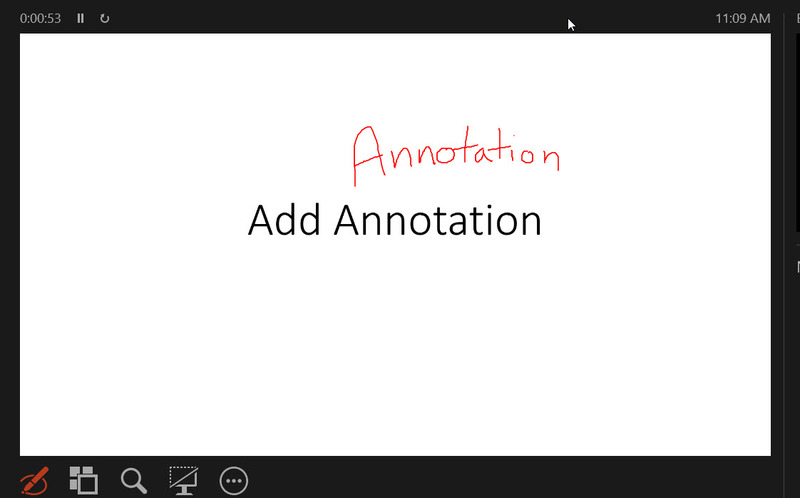 Step 3:Begin annotating the slides by writing on them with your pointer. Use the arrow keys to navigate through the slide show. You can click the pen icon again to change back to the arrow pointer. Step 4:At the end of the slide show, you will be prompted to save your annotations. Click Keep. The writing will remain on your slides. Step 5:To change the color of the text, click on the words while you are in edit mode. Select the Format tab. Click Shape Outline and choose your new color.